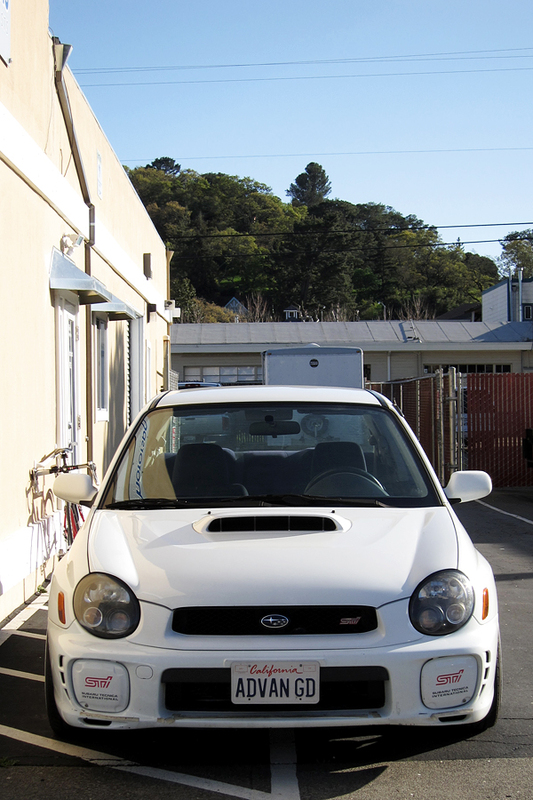 As you may recall, I brought the WRX to LIC to diagnose because the third cylinder was misfiring. 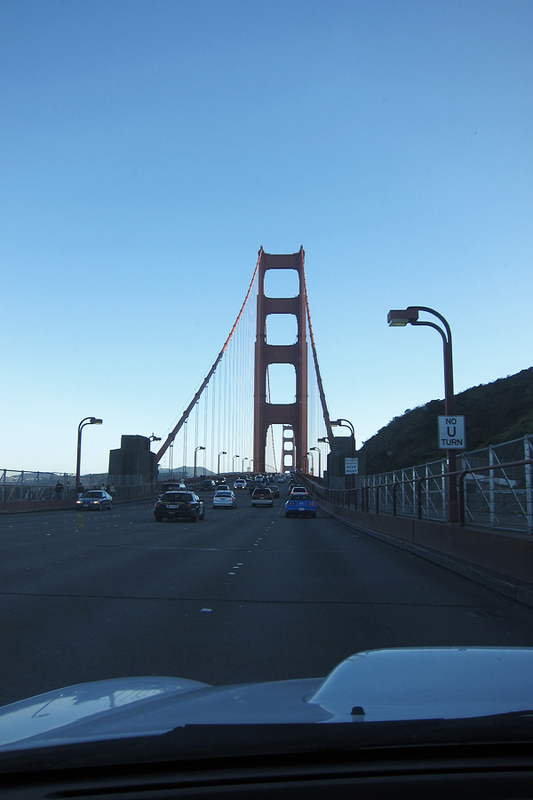 You should also remember that I rode up to Novato to pick it up. Car was ready to go when I arrived. Had they fixed the problem? Maybe. They assured me that my motor was perfect and that the problem was definitively electrical related. They swapped the coil 1 and 3 to see if a faulty coil was causing the misfire. In the process, they discovered that both cylinder 1 and 3 spark plugs, which were replaced by SpeedElement 8 months/1500miles ago, were only hand tight. After tightening the plugs and swapping the coils, the CEL cleared and the problem went away. LIC was fairly confident that the plugs were the root of the problem so I picked up the car to drive home. If the CEL returns with a cylinder 1 misfire, we will know who to blame. 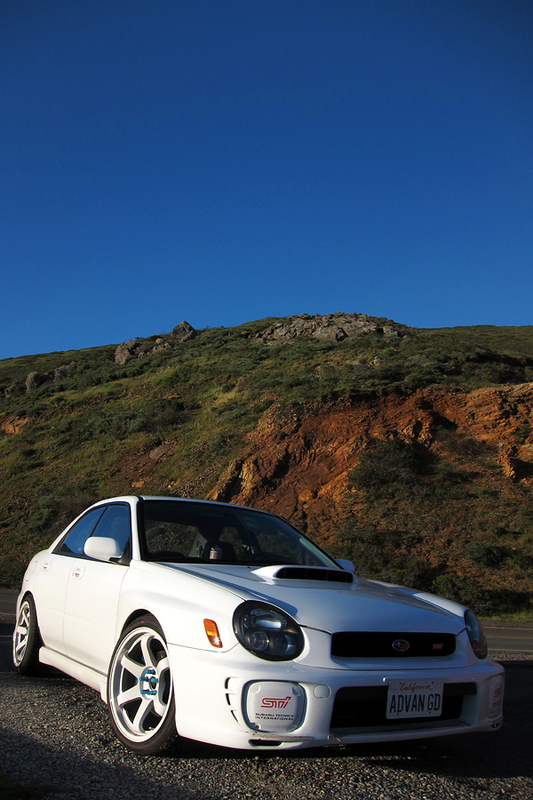 On the way back to SF, I snapped a few photos of the WRX. I haven’t taken pictures of my car in a long time! But drive it much either. Driving your car, seeing it reflect off other cars and buildings really makes me want to more buy wheels for it. Looking at the car also makes me want to lower it more too. I have a new set of coilovers with rear camber plates s hopefully there will be more lowness to come. Give me back my front lip! 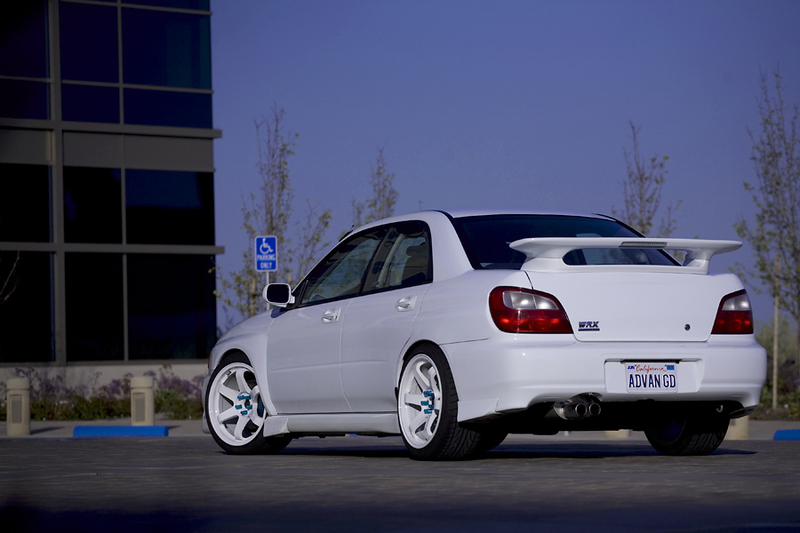 Back in 2002, Subaru Japan came out with a STI limited model that few people know about. 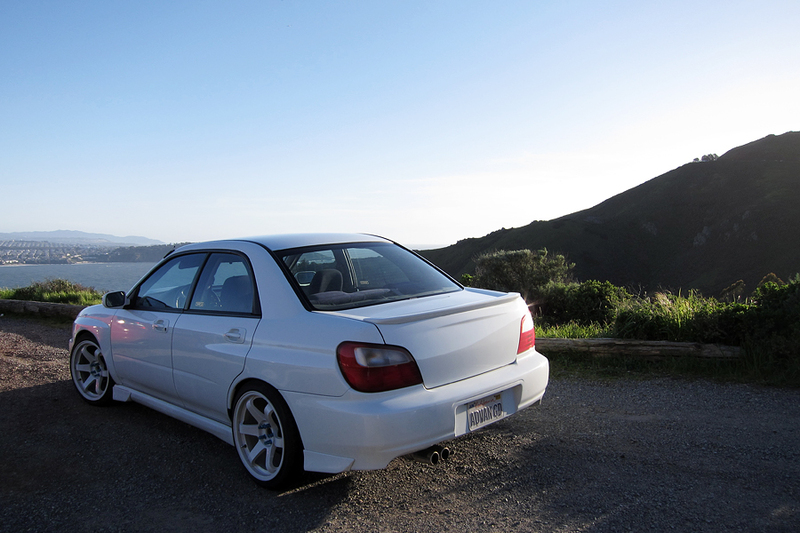 I believe this version had slightly more power than the regular STI, but more importantly, it came with a rear wing extender. The extender was different from the Zerosports wing extender and the various other clones that it has spawned because the extender was one piece that extended across the length of the trunk. By chance, I scored one off eBay, in aspen white. Originally, my car came with a stock wing, but I traded the wing and trunk away shortly to go for the stripped down Spec C look. 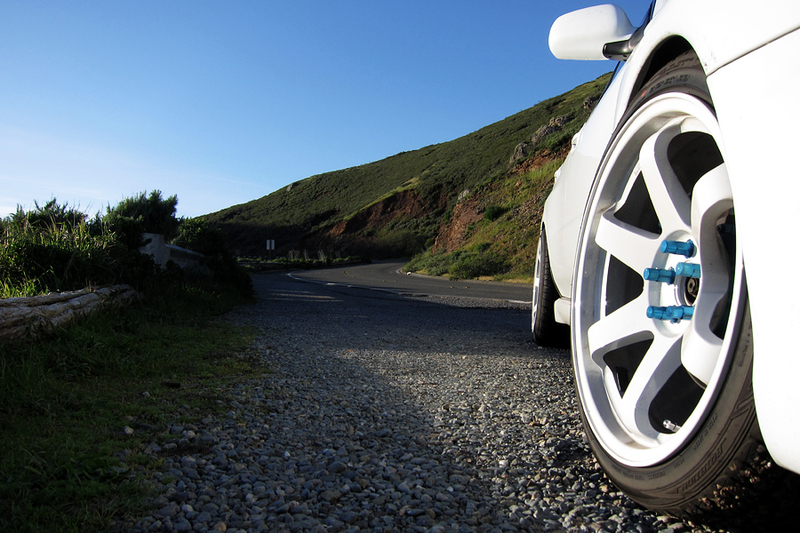 At one point, I even traded away my V7 STI wheels for V8 STI wheels. I got bored of that fast and again traded trunks to get the stock wing back so I could add my wing STI limited wing extender. 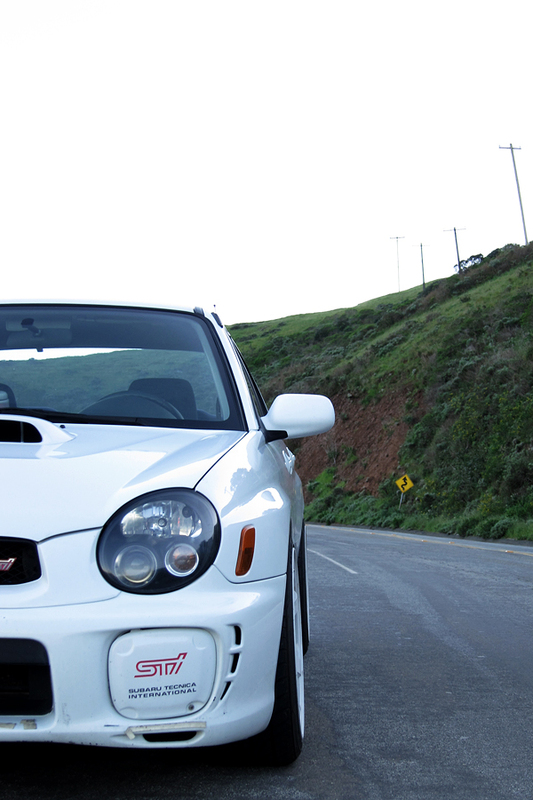 In 2007, Subaru released another “STI limited”, but this time it was for the USA market. This model toned out some of the more aggressive exterior features to appeal to the “mature” audiences. 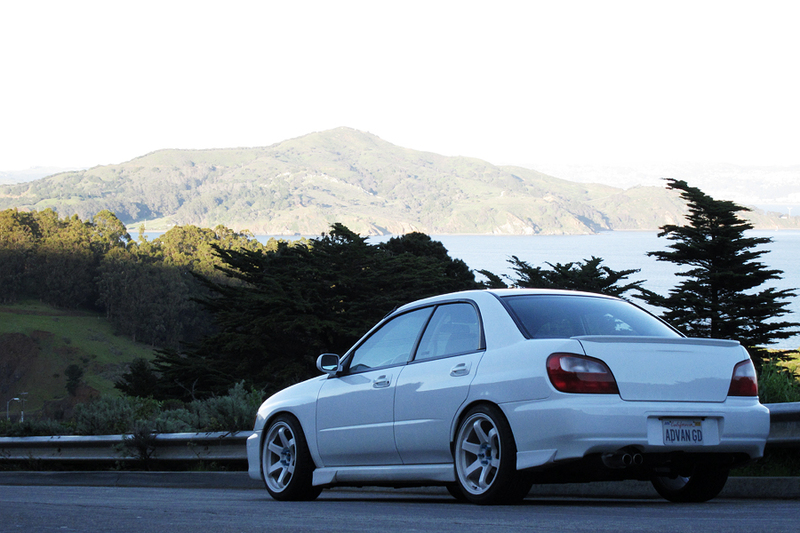 Around this time, I was wanting a wingless trunk again, and I thought this “STI limited” trunk lip complemented a wingless trunk well. Unfortunately, wingless trunks have been in fashion lately, so everybody else has been wanting one too. 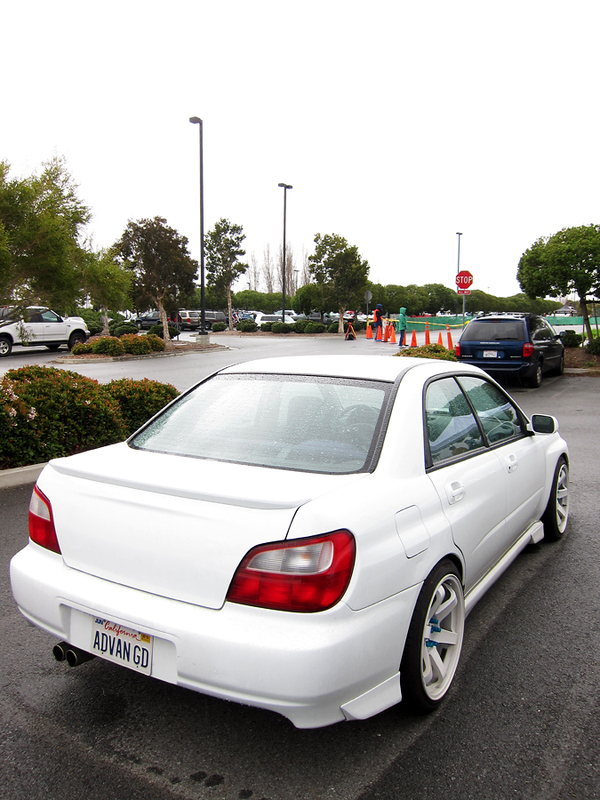 Luckily, my friend was parting out his car and I snatched his trunk and STI limited wing. I installed it right away. So clean! I’m not convinced I won’t get bored of this look, so I kept my winged trunk and spoiler and I can swap back anytime.